We will be holding our Annual General Meeting on Wednesday April 11th at Dragonfly Cafe from 6-7pm. 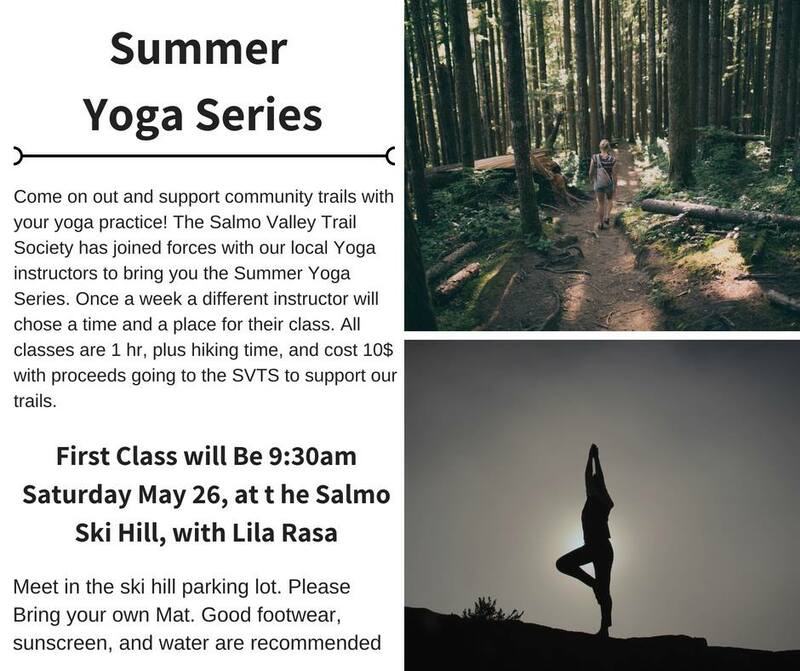 Come join us to hear the presidents report, financial report, take part in planning for the coming trail season and volunteer to help with upcoming event fundraisers. All directors are willing to remain in their positions however nominations for positions can be made in advance by email or at the meeting. 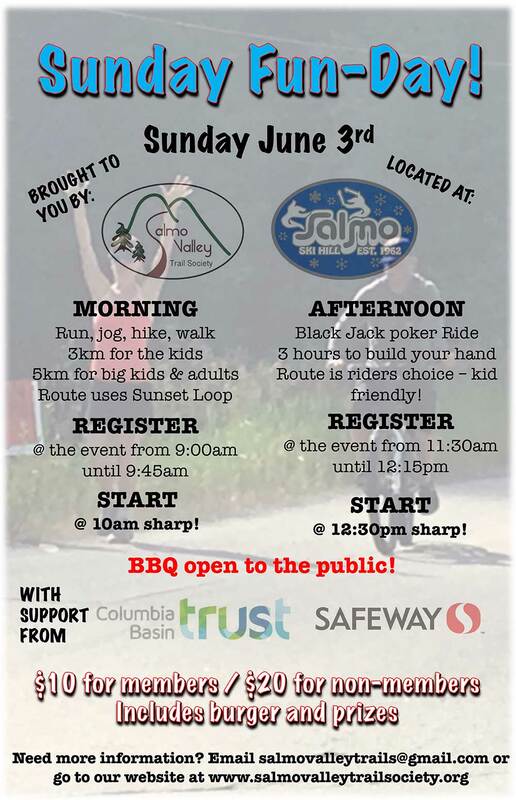 If you read the most recent edition of the Salmo Newsletter you would have seen our announcement for a Family Fun Day at the Bridal Lake rest area at Kootenay Pass. We’ve had to change the date! 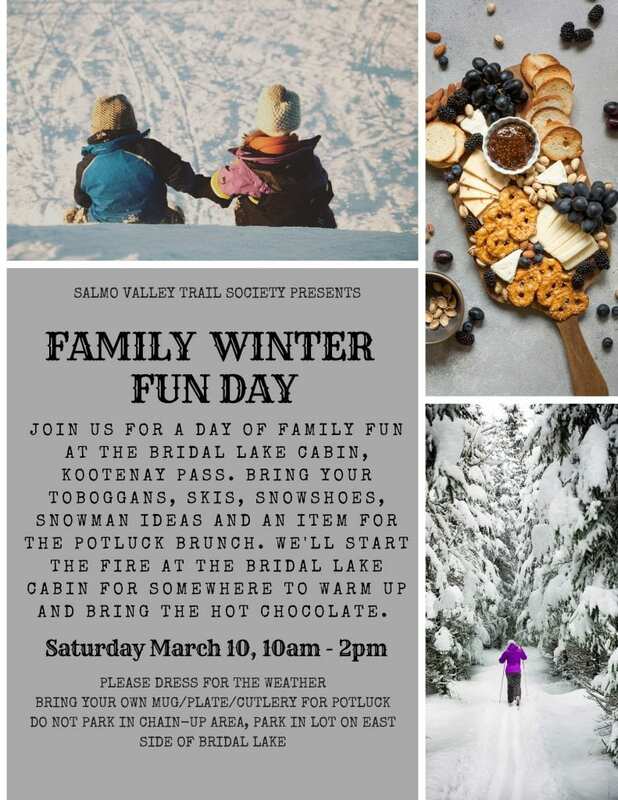 Family Winter Fun Day will now be Saturday March 10th instead of the 3rd. Same time, 10am until 2pm. Check out our Facebook page for the poster and event. 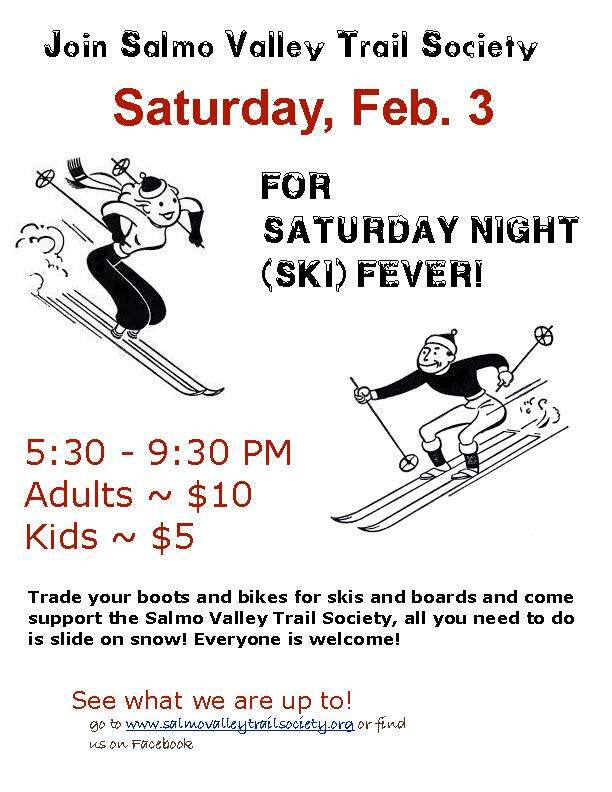 Mark your calendars for Saturday, Feb.3.